The first thing to point out is the card is a Credit Card NOT a Charge Card. The difference between the two is very significant. The second thing to note is the annual fee is $395 which is quite slow considering the benefits which come with this card. 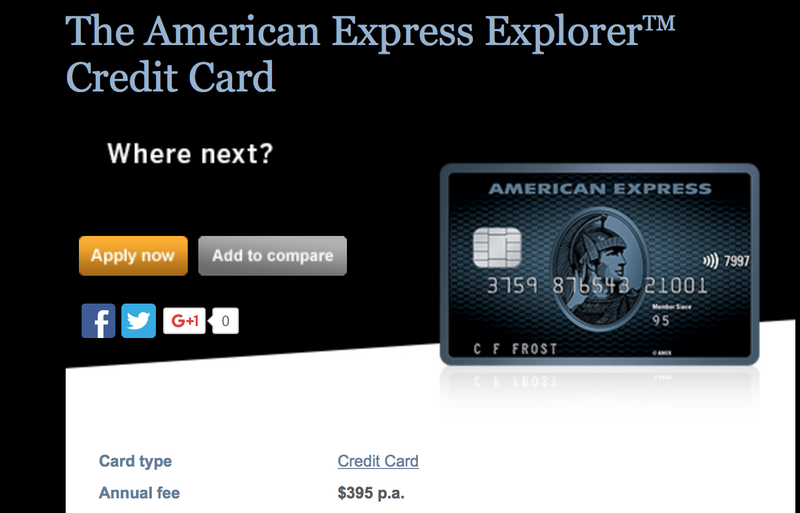 The benefits of the card are excellent for the annual fee of $395. 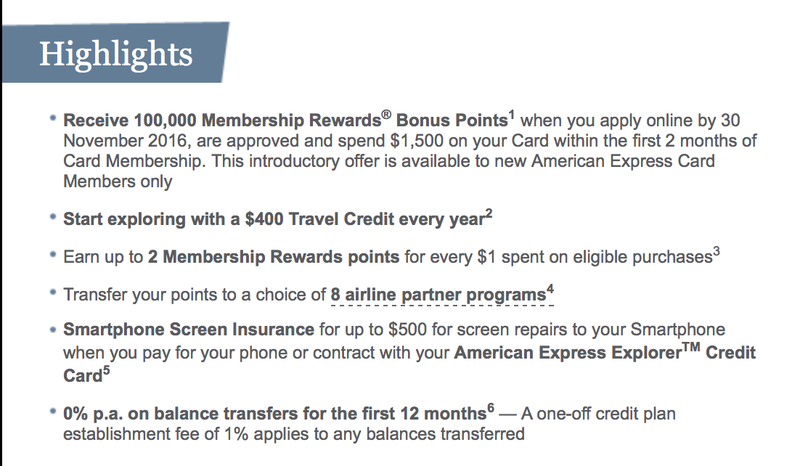 100,000 points and the $400 annual travel credit are the better ones out of the benefits. Once I get the card, I’ll be able to put a referral link on the blog, so you’ll get even more points for signing up for the card. 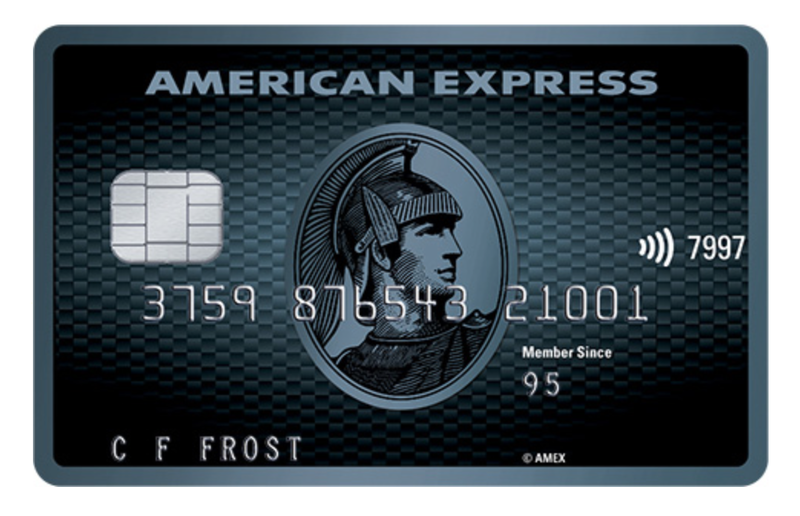 This card is part of Membership Rewards which is Amex’s points currency. At this stage, there isn’t the ability to transfer MR’s to hotel programs such as SPG or Hilton, but that may come soon. 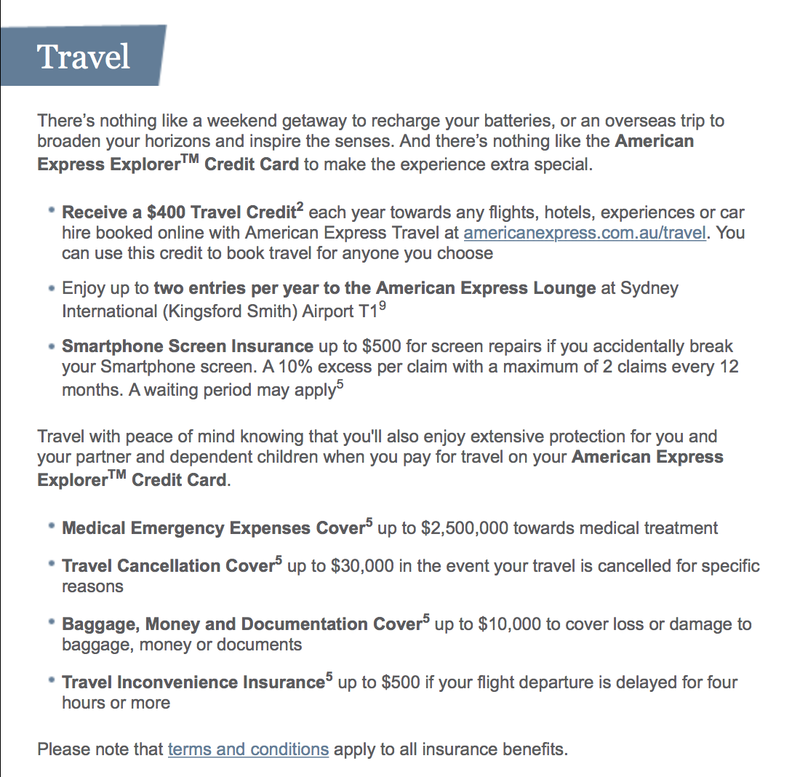 Like I said the $400 annual travel credit is a fantastic addition to this card as it can be used for ANY type of travel spend. 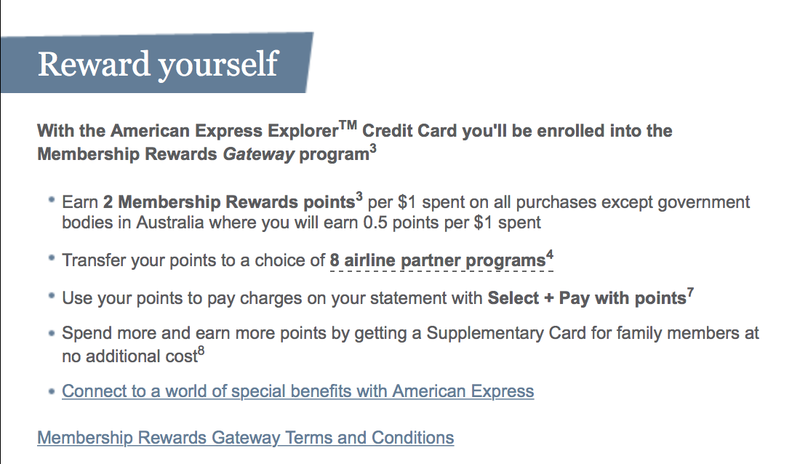 Another cool feature is you can access the American Express lounge is Sydney twice. The lounge is very quiet and quite nice for a small lounge. The only thing I thought that would be amazing for this card is the ability to use American Express Fine Hotels and Resorts. FHR is exclusively for the Platinum charge card. 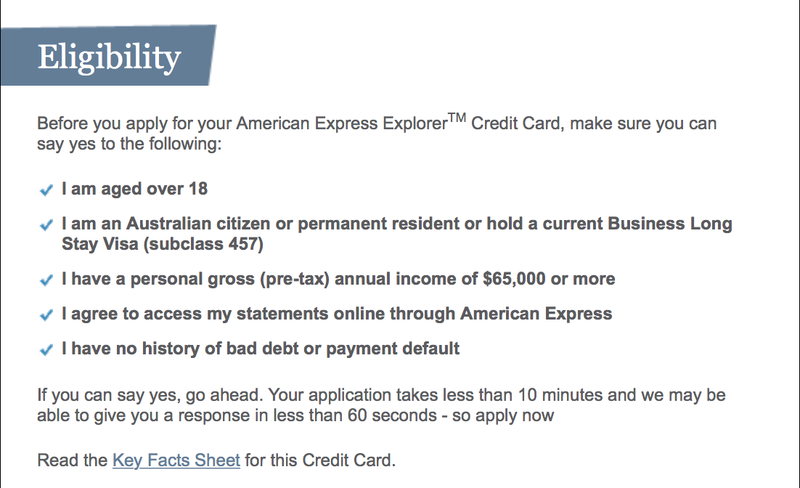 Without a doubt, one of my favourite features on some Amex cards is Purchase protection. That means if you buy something with the card, and it gets lost, stolen or broken Amex are very likely to refund your purchase which is a fantastic feature, especially for travel. As always the age limit to sign up for the card is 18 and over. The personal gross for this card is $65,000 isn’t impossible for most. I’ve already signed up for the card (for my parents), and I’m excited to use the card. I believe the benefits definitely out way the annual fee and this would be a great alternative for the Platinum Charge. How did you apply for this card when minors are unable to obtain credit cards? James – As it states at the bottom of the post, I signed up for the card on behalf of my parents. Thanks for reading.